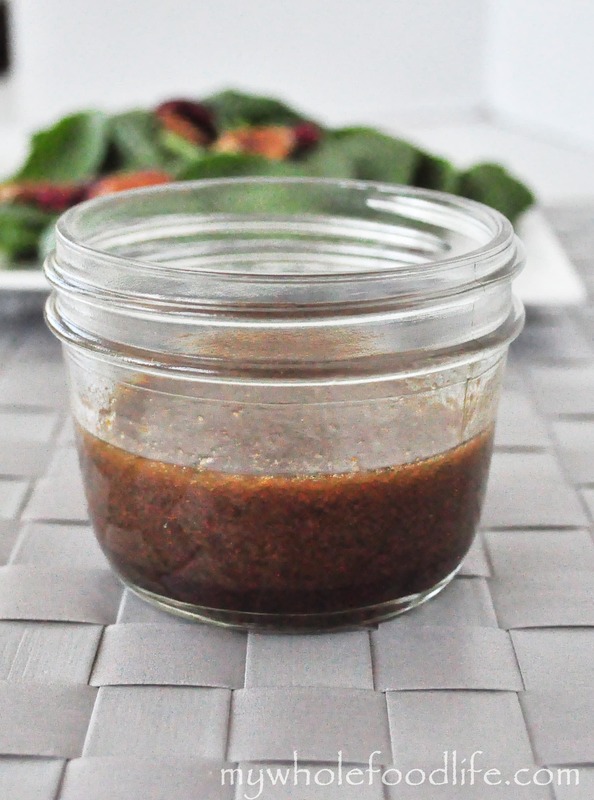 Homemade Balsamic Vinaigrette! You have to try it. After seeing the success of my Dairy Free Ranch Dressing and my Healthy Honey Mustard Dressing, I polled all of you on Facebook the other day asking about what other condiment recipes you would like to see. Balsamic vinaigrette was one of the more popular answers, so that one was the first one I came up with. This homemade balsamic dressing recipe is simple and delicious. You won’t have to buy any at the store after making this homemade balsamic vinaigrette recipe. Most store bought dressings are loaded with sugar. However, this dressing recipe contains no sugar at all. Just a few simple ingredients that you probably already have in your kitchen! This dressing is so easy to make, you will never buy dressing again! It only takes a few minutes! Looking for more salad dressing recipes? Whisk all the ingredients together. That’s it. I store my dressing in a small mason jar in the fridge. It should keep for a couple weeks. Since there are no additives in this, it will solidify in the fridge. Pull it out a few minutes before you use it again. Or just make it as you need it. Why can't you say the calories.